A version of this post originally appeared here on sparrowsandlily.com, published with permission. Date nights are so incredibly important, but sometimes it can be so difficult to get out of the house! With two kids, Jesse and I have had to be creative with our at-home date night ideas. I wanted to share a few of our favorites with you because they are affordable and unique! 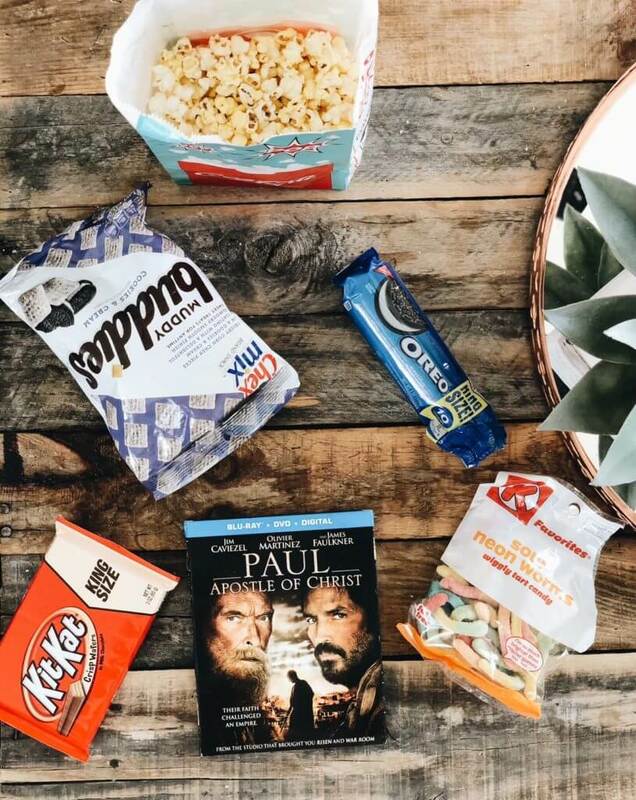 I hope these 7 creative at home date night ideas are refreshing and fun for you and your spouse! I’ve surprised Jesse with a Nerf Gun War a few times (black war paint and all) and he is always just as excited as the first time we did it. I set up base points, get multiple Nerf Guns for us to switch out and start shooting as soon as he gets home. We end the game with a delivery pizza and root beer floats (my favorite!) It’s one of Jesse’s favorite date night ideas because it’s a side-by-side date and something unique, refreshing and fun! This one is so much fun! Jesse isn’t a huge fan of cooking, but he does love him some Masterchef (who doesn’t?!) so we both enjoy trying to create something new and delicious. Gordon Ramsay has some great tutorials on YouTube for a variety of recipes and we use those often. Other times, we will just search ‘Cooking Class’ on YouTube and find something that looks fun and different to try! Jesse and I will go together to Talin World Market which sells a variety of international ingredients and food. We each separate after we walk inside and start shopping! We buy 5-10 different small items like sauces, chips, candy, you name it – and take them home. Before we cook a real meal, we blindfold the other person and have them test each one of our items. We give one another three guesses as to what ingredients are in the food that they’re eating and then move on to the next item. The person who guesses the most ingredients wins a massage. Jesse grew up in a camping family (I’m a novice) but I love doing dates like this because it’s such a sweet memory for him. It’s so simple but allows for thoughtfulness and creativity and breaks us out of the norm of staying home. For indoor camping date night, we set up a tent with pretty hanging lights, pillows and blankets inside. I love to cook hot dogs with all the toppings and some chili cheese fries. 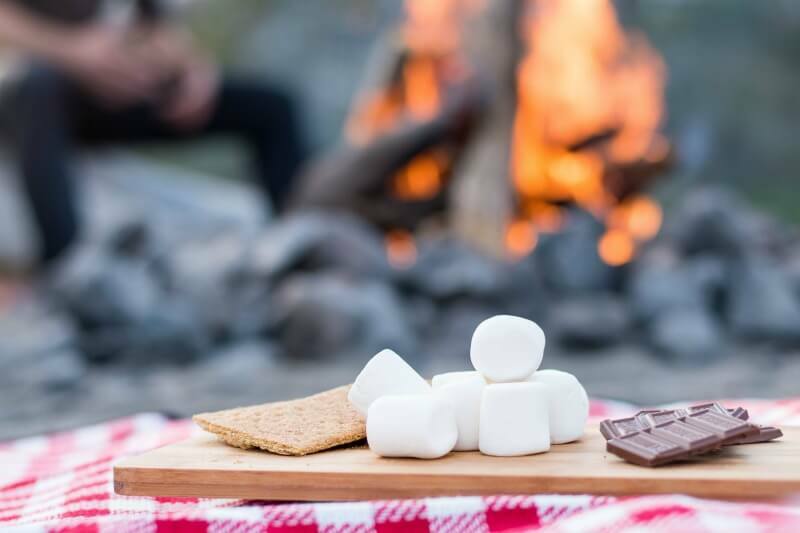 We make s’mores on the stove or outside in a fire pit and enjoy one another’s company! We just had one of these date nights and realized how much we cherish this classic style of date. Sometimes we will do a ‘picnic theme’ and eat on the living room floor with a delicious meal and movie snacks. 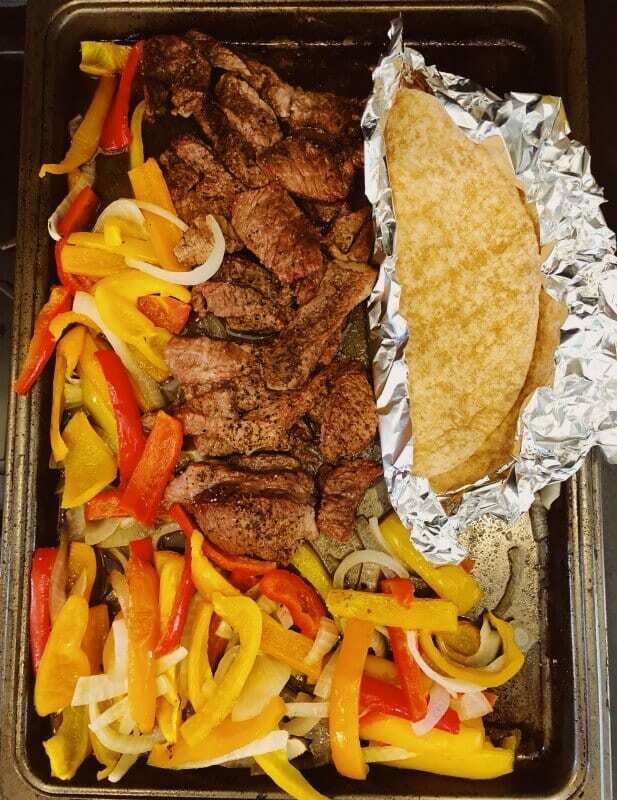 I made Sheet Pan Steak Fajitas and we watched Paul, Apostle of Christ. When I received this movie in the mail, I was so excited to sit down and watch. I’ve never been a “visual” person, so oftentimes when I read the Bible, it can be challenging for me to really visualize that these events actually happened in real life. Paul, Apostle of Christ gave me the ability to watch history come to life. Jesse ran to the theater to get some popcorn (he swears nothing beats it) and I sent him to the gas station to get some of my favorite candy. Paul, Apostle of Christ focuses on two leaders who wrote much of the New Testament. The movie shows Paul and Luke, two longtime traveling companions, together during Paul’s final imprisonment in Rome. Luke wrote down Paul’s memories and words, desperate to receive and notate his wisdom. The one thing I really loved about this movie is that it didn’t shy away from the hard topics— it almost dove into them. They didn’t attempt to romanticize the feelings that many of Jesus’ followers had to be experiencing while in the midst of persecution, fear and grief. The movie didn’t glamorize their responses to the trying situations, which sometimes went as far as wanting to walk away altogether. They were challenged to love people when they didn’t want to. They were placed in situations where they had to choose unconditional and unwavering love – just like the love of Christ. In one of my favorite scenes near the beginning of the film, the Christians are grieving the death of a loved one, but Luke reminds them that the only way to respond to evil is to love deeper and harder. 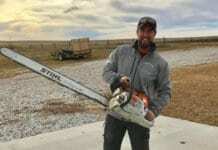 It was also an incredible experience for me to witness the relationship between Paul and Luke and to watch as Luke took account of Paul’s story. I was intrigued to watch a man like Luke – someone who documented one of the gospels of scripture – even question Paul’s unwavering faithfulness. It reminded me that we are all human, and that even the disciples struggled to remain solid in their faith at all times. 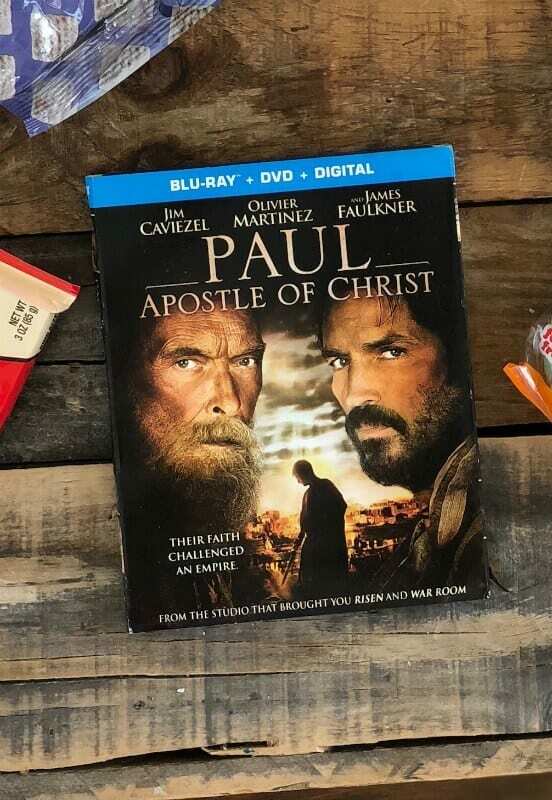 This movie encouraged my heart and gave me a refreshed desire to dig deeper into scripture and to see these disciples for who they were – real people with real struggles who rely upon a huge and faithful God. This film reflects on suffering, grace, forgiveness, sacrifice and responsibility. Jesse and I really enjoyed it and are excited to watch it again with our family! Find out more about this movie on Facebook and Instagram. 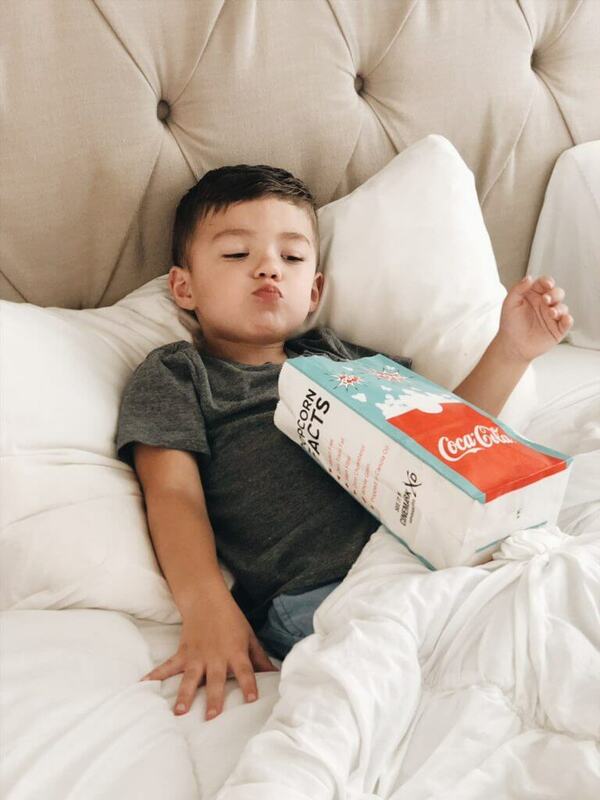 Another perk of this classic date night: your kids get to enjoy your snacks the next morning. We love breakfast-for-dinner! Jesse is a cereal addict and I love pancakes and bacon. We both enjoy coffee and my bed is pretty much my favorite place to be. This is definitely more of a Lindsey at-home date night, so I’ll take it whenever I can get it! For these dates, we eat in bed without shame, play board games (Monopoly Empire is my favorite and Jesse loves Settlers), ask one another fun & hard questions about life, marriage, family, etc. and stay up late talking to one another. One of the best gifts Jesse ever got me was a Super Nintendo very similar to the one that I had growing up! I play it any chance I get. I’m awful at playing Jesse’s new games, like Fortnite, but when we can play old school Donkey Kong or Super Mario World, I’m all in! We also love competing at Mario Kart 3D on the Wii U – that’s one of my favorites. This kind of date night keeps things fun and lighthearted and allows us time to do something that relaxes us while bringing us closer together as friends. 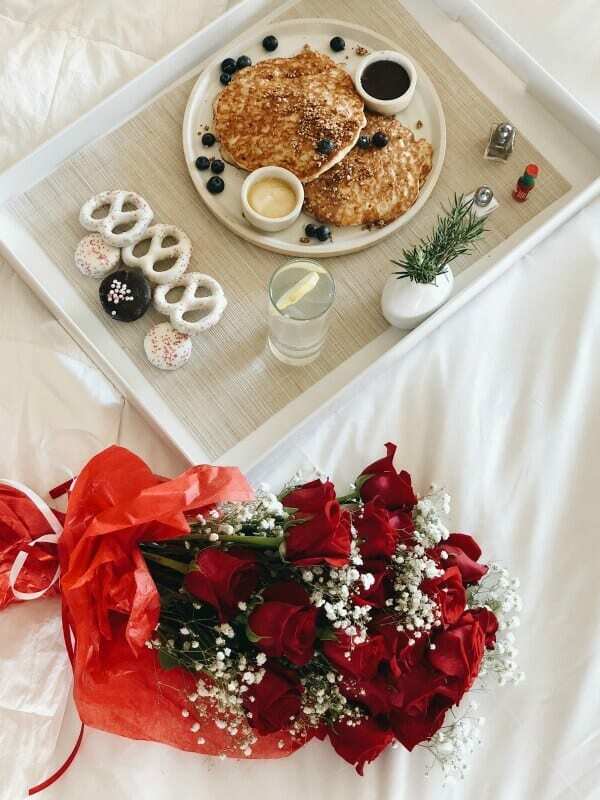 What are your favorite stay-at-home date night ideas? Let me know in the comments below!